The preseason is well underway for the AFL clubs and players are preparing for the preseason matches and the start of the AFL season, and of course the greatest variation of AFL ever, AFL X. This is my final edition out of three, and it previews the final six teams from Port Adelaide to the Western Bulldogs. The Power started off with a bang in season 2018 with new recruits such as Tom Rockliff and Steven Motlop expected to be important parts in the Power’s quest for a premiership. However, after starting the season with a win-loss ratio of 11 wins to four losses, the Power lost six of their next seven matches and finished a disappointing tenth after having so much potential early on in the season. Robbie Gray was his usual self, fantastic throughout many of the matches during the season while Charlie Dixon had a very disappointing season only kicking 26 goals in 20 games and will be looking to bounce back next season. The Power will be hoping that in 2019 they will be able to have the form that they had at the start of the 2018 season throughout the entire 2019 season. However they will have to do so without star players Jared Polec and Chad Wingard who both have moved to Victorian clubs. They have gained talented SA youngsters Ryan Burton from Hawthorn and Connor Rozee with pick five in the draft and will be hoping that they both will be able to make an impact on the side. They will be hoping that Charlie Dixon can have a 50 goal season and that Robbie Gray will be able to back him up with a handful of goals himself. Gray will be one who is relied on a lot next season considering how two of the Powers major ball winners have left the club. In addition, they will be hoping that star midfielder Ollie Wines will be able to have a good season and even be able to crack an All-Australian squad spot. The Power fans will be hoping that they can have a good season where they will be able to get a top eight spot because their list is capable of doing so, but if they’re inconsistent, they could not make the eight. Ryan Burton. Burton dipped in form slightly during 2018, and at the Power he is very capable of recapturing that 2017 form and going further. They will be hoping that he could fill the void left by Jared Polec who was the powers second highest disposal getter in 2018. Burton has a lot of potential at the power and will be hoping that he can become a Power star in years to come. The Power have the tenth hardest fixture in the competition according to Champion Data. They play Richmond and North Melbourne twice which will be very tough matches, they have the two showdowns against the Crows which as usual will be two of the most entertaining games of the season while they play Brisbane and Fremantle twice, which were clashes which provided a challenge for Port in 2019. The Power will be glad to keep their annual China game which will be played against St Kilda. After the triumph of 2017, the Tigers continued to be at their very best in 2018 finishing the season with the minor premiership. However, after making the preliminary finals, they went down to the Magpies in what was a game where the Pies played excellently while the Tigers were not at their best. 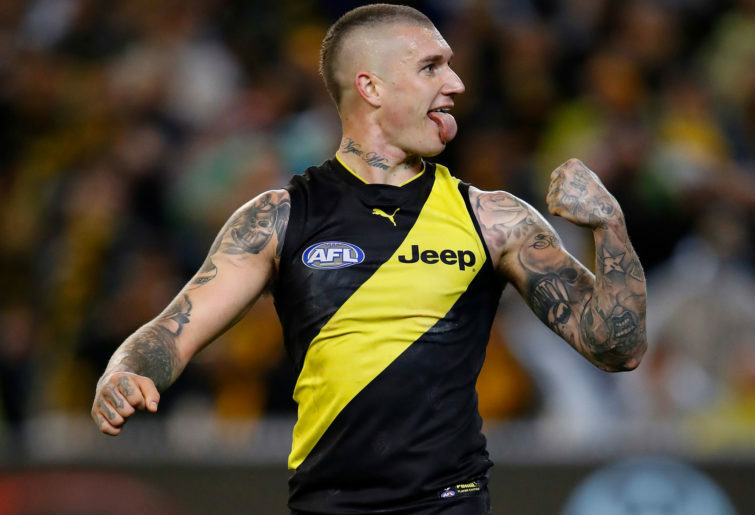 However, throughout the season the Tigers still showed that they are and will be in the future one of the toughest teams to beat, and with a list featuring star Dustin Martin, captain Trent Cotchin and former All Australian Captain Alex Rance, they will be a team that will always be in premiership contention for years to come. After signing former Gold Coast co-captain Tom Lynch, the Tigers are very much in the premiership window and I am sure that all fans believe that a top four is a must. They have 2018 Coleman Medalist Jack Riewoldt in the forward line and with Lynch joining him, it will be one of the most feared forward line combinations in the competition. They have the reliable Alex Rance in defence while they have former Brownlow winners Trent Cotchin and Dustin Martin in midfield. After the big names you also have Josh Caddy, Bachar Houli, Dion Prestia, Shane Edwards and many more players who perform consistently week after week.There is no doubt that they are very capable of winning the Premiership again and I am sure the fans will be hoping that they can make it to the business end of September. Jack Higgins. Higgins was one of the draftees of the season with his attack on the ball and his creativity praised, especially in his goal of the year winner. Averaging 16 disposals and two tackles and 15 goals over his 20 games he had a good first season at the Tigers. However, I see him reaching new heights in 2019, and he will look to win more of the ball and kick even more goals in 2019. He will look to emerge even more and be one of the many star midfielders currently at this club. According to champion data, the Tigers have one of the easier draws in the competition. However their double ups will be tough games playing Melbourne, Collingwood, GWS, Port Adelaide and Carlton, with Port, Collingwood and GWS all being teams that managed to beat the Tigers in 2018. While they have five away games, and many prime time games and annual matches such as the Anzac eve game and the Dream time at the G game which are games we all look forward to. after finishing 2017 in 11th with 11 wins, it was a disappointing fall for the Saints in 2018 who fell to 16th and only had four wins. Although there were some good points such as the comeback win over the Suns and a two-point win over the Dees, it was largely a disappointing season. On a good note, Jade Gresham had a good season with 35 goals, while Seb Ross averaged 30 disposals a game and was the Saints highest disposal getter in 2018. An improvement. That’s what the fans need to expect. Improvement. After having two seasons where they were just outside the eight they fell straight out of contention of even making the eight with a disappointing 2018 season. They will be hoping that Seb Ross, Jack Steven and Jade Gresham can continue their impressive form from 2018. While they will be hoping that Josh Bruce will be able to regain full fitness and kick many goals after he was only restricted to only four AFL games in 2018. If his health is all good, fans will be helping that Dylan Roberton will be able to get back onto the AFL field after a scary collapse in 2018 during a game. If he can get back to playing and if he gets back to his 2017 form which saw him picked in the 40-man All-Australian squad, it will be one of the feel-good stories of the year. Overall, fans should expect an improvement and to move into the higher part of the bottom ten. If they can improve that much, Saint fans should be excited for the future. Max King. The number four draft pick will be looking to start his AFL career firing. Although the Saints will have to make sure that he is fit before they start him due to his knee injury which made him miss most of 2018. The new Saints number 12 is a strong overhead mark and can be a key player in the forward 50. He is capable of kicking many goals shown in one of his games where he kicked eight goals against the Oakleigh Chargers. If he can get fit, he may be a key cog in the Saints push for a top eight spot in future years. According to Champion Data, the Saints have the easiest draw in the competition. They play Melbourne twice, a team they managed to just beat in 2018, the Crows who will be a tough opponent, and Fremantle, Gold Coast and Carlton, all teams the Saints are capable of beating but are also games that the Saints could lose. They have many games at Marvel next season and have also been the newest team to join Port Adelaide in going to China. Although for the Swans they made the eight, it seemed like there were moments where it showed the potential decline that the Swans could be on in future seasons. Josh Kennedy was his ever reliable self averaging 25 disposals a game and Jake Lloyd was good to averaging 28 disposals a match. Lance Franklin still kicked 57 goals but was not his usual self, but was injured in parts only being able to play 19 matches. A satisfactory season it was for the Swans with wins against both grand finalists and a win against the up and coming Melbourne, but it was disappointing losses to the Suns, Bombers and the very poor elimination final against GWS which worried fans and possible signs to come. In my view, the Swans are a team which may suffer a fall this season but they still have the quality to make the finals. They acquired Daniel Menzel who will be a good forward to potentially have along side Lance Franklin who will be hoping to get back to his best and will be looking to add to his Coleman medal collection. On a different note, Franklin and fans will be hoping that he will be able to kick 83 goals which will see him reach the 1000 mark. They will be hoping that Kennedy and Lloyd can continue their impressive form and fans will be hoping that Luke Parker and Isaac Heeney can go to the next level and help the Swans to have a stronger claim for a finals spot. As usual now with the Swans, fans and the media expect them to make the finals considering their impressive record this century, but I am sure it would not surprise me or fans if they do just miss out. Nick Blakey. Taken at pick ten as an Academy selection for Sydney, he is a forward who has been said as a strong overhead mark, a goal kicker and someone who is athletic which has been why he has been described as a versatile player. A tall forward who could become a forward trio featuring him, Lance Franklin and Daniel Menzel which could be a scary prospect for opposition defenders. A reasonably tough draw for the Swans this year. They have Melbourne and Geelong as two of their double ups which will be hard and entertaining matches. There is the usual two Sydney Derby’s featuring GWS, they play the up and coming Essendon Bombers which will be a tough matchup, and they play Carlton which is a team you would expect the Swans to win. They play all their home matches at SCG, and only play at the MCG twice, and have a potentially tricky matchup against the Kangaroos in Tasmania. The premiers. The two words every team dreams of saying. A year where everyone said at the start of the season that they had no chance, they went against the odds and won it all. Jack Darling was good up forward kicking 48 goals in a season where he was injured for a couple of games. Josh Kennedy was fantastic kicking 43 goals in only 14 games after injury made him miss almost half the season. Luke Shuey, Jack Redden, Elliot Yeo and Andrew Gaff were fantastic in midfield while Jeremy McGovern was fantastic and reliable as usual in defence. They made Optus a fortress and the fans showed up to their brand new stadium in Perth, and in Round 2 2019 they will be able to present that flag to the crowd. 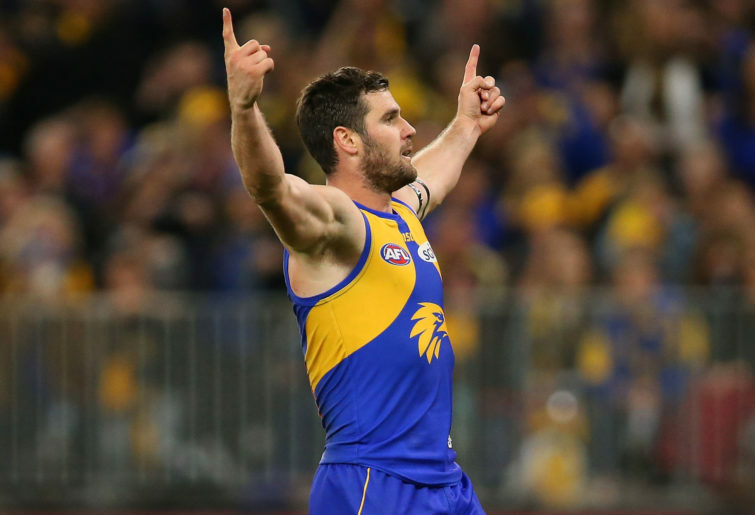 West Coast Eagles have a fantastic list and will be looking to stay in that top four spot and stay in premiership contention. They will be hoping that Kennedy can have a full season and win his third Coleman medal while they will be hoping that his back up brigade of Darling and Liam Rya and Willie Rioli can back him up next season. They have a fantastic midfield and will benefit a lot when Gaff returns in Round 1 from suspension after the incident with Brayshaw last year. Gaff will be hungry for a premiership after his suspension cost himself a chance at glory. While in defence they have many reliable players including the All Australian Jeremy McGovern, Shannon Hurn and Brad Sheppard who like Gaff will be hoping for a premiership after an injury cost him a chance of being part of the squad. Fans will be hoping that the Eagles can go back to back and will be expecting them to be up there in the business stage of September. Willie Rioli. A bit older then some of my other emerging talents selections, but I see him as moving to another level in 2019. He had a good first season kicking 28 goals in 24 matches and won the Eagles Emerging Talent award. In 2019 I see him as an important piece of another potential premiership charge. Part of the football famous Rioli family, in my view he is very capable of kicking 40 goals or more in 2019 and he can be a key part of the Eagles very talented forward 50. According to Champion Data the Eagles have the fourth hardest draw in the competition. They play Melbourne twice in games which were memorable for two different reasons last season, one being Melbourne breaking their finals drought and the other the Eagles making the grand final. They play fellow 2018 grand finalists Collingwood twice and if it is anything like the grand final then we are in for two very entertaining matches. They play the Hawks twice which is a match that might become easier with no Tom Mitchell, the Crows twice which will be tough as the Crows will be looking to bounce back to their best and they play the Dockers twice in the annual Western Derby which has gone in the Eagles favour in recent times but it is a rivalry match and as I have learnt watching derbies of all sort over the years anything can happen. Since the triumph of 2016, it has been downhill. Although they managed eight wins, those wins were against teams which could be considered much weaker than the Bulldogs. They never really had a win that gave them any momentum or a season-defining or changing win. Billy Gowers was good in his first season kicking 26 goals in 20 matches. Marcus Bontempelli was his usual self, kicking 22 goals and averaging 24 disposals a game. Individually, Lachie Hunter and Jack Macrae had impressive seasons with both breaking their personal bests for average disposals in a game. Overall though, it was disappointing from the Doggies and will be looking for an improvement come 2019. Like the Saints, the Bulldogs faithful will be hoping for an improvement. Many players had good seasons individually like Gowers, Bontempelli, Hunter and Macrae but now it is time for the Dogs to bring a team effort and not rely on one individual a game to be their standout. 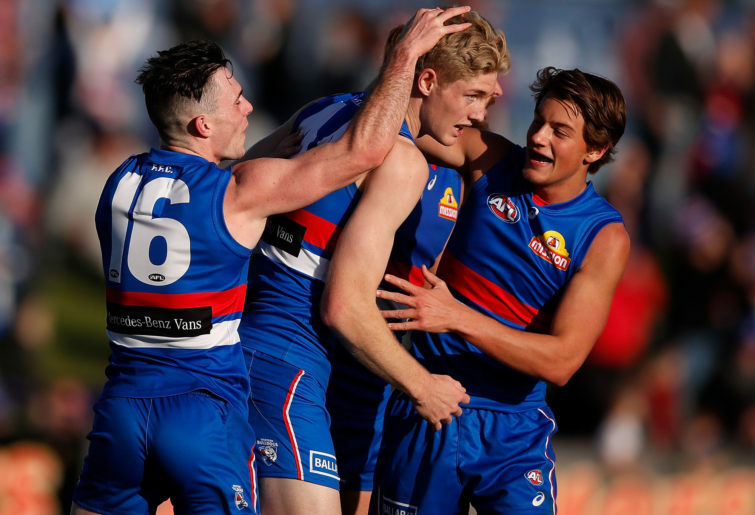 A youth side, they will be hoping that youngsters such as Caleb Daniel, Josh Dunkley, Ed Richards and Patrick Lipinski can rise can become more prominent players and important players for future years in the Bulldogs goal to get back into finals contention. While they will be hoping that former number one pick Tom Boyd can live up to his draft worth and replicate the form which saw him be a key part of that 2016 premiership side. An improvement is the aim and the expectation should be to just sit outside of the eight around the ninth-11th mark, and although unlikely, if everything goes right sliding into the top eight is a slight possibility. Bailey Smith. A draftee who loves to work and could be one of the recruits of the season. He was the Sandringham Dragons’ captain, showing his potential as a future leader and showed his skill and class picking up Victoria Metro’s Under 18 MVP. A ball winning midfielder, Smith is also versatile known to be able to play across the forward line and as a running back. He will be wanting to make an impact from the go this season and could be a future star at the Bulldogs. The Bulldogs have a slightly easier draw than most teams. As for their double ups, they face Geelong – a team they just beat in 2018, grand finalists Collingwood which will be hard for the Doggies, and Brisbane, Fremantle and Carlton, with the Lions and Blues being teams the Dogs were able to beat in 2018. They play five away games in Sydney, Perth and Adelaide, play two games in Ballarat and 12 games at their home of Marvel Stadium. This is the final edition of my 2019 AFL team-by-team previews. I believe it will be a close and very entertaining season, yet it will be one where many teams and fans alike will be nervous about how their team will go.